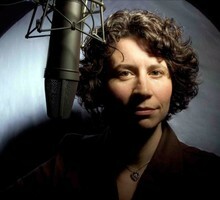 Allison Frost is the senior producer and occasional host of Oregon Public Broadcasting's daily talk show, "Think Out Loud." She's worn a variety of hats at OPB, including announcer, web producer, host, managing editor and senior producer. Before OPB, she led a local community radio station in Fresno, California, tutored English and sold books. Allison holds a degree in speech communication from California State University, Fresno, and a masters in journalism and communication from the University of Oregon. She likes to play with and blog about her two young children in and around Portland where she and her husband make their home. We explore Tennessee's approach to child welfare, its Youth Villages model, and how they can inform Oregon's foster care system, which continues struggle to provide for the most vulnerable children. We discuss business news, the late poet Hazel Hall and a proposed statewide ban of single-use plastic bags. Opinions and analysis on the news of the week. And a look at a program that helps foster care youth become successful, independent adults. A check-in with Portland Mayor Ted Wheeler. And a new documentary about the lives of doctors who provide abortions. Residents of Elkton, Oregon, are likely to be without power for nearly a month. PNCA hosts an event to get more female artists into Wikipedia. A new pay equity law is in place, but what does it mean for businesses? And high schoolers teach an after-school program in Umatilla. Eastern Multnomah County faces unique economic challenges. Washington school districts are struggling to cut from their budgets. And we talk with the head of Youth Villages in Oregon about different approaches to child welfare. We hear from a cattle rancher using inflatable, flailing tube men as a wolf deterrent. And ask why private, liberal arts colleges are facing such daunting economic challenges. A newspaper from Oregon's Japanese community is being translated into English. A University of Oregon biologist who championed the scientific use of zebrafish gets an award. And a new audit shows progress in home care for elderly Oregonians. A nonprofit in Tennessee has had success keeping kids in their homes and out of foster care with support. We learn more about that model. Also, we get the latest business news and hear about 50 years of Portland State University's black studies department. Oregon corrections officials recently traveled to Norway to see what they can learn about how criminal justice works there. And Oregon's oldest craft brewery recently shut down – what does it signal for the local industry? Portland commissioners consider adding protections for non-religious people. An investigative series looks at Oregon schools' responses to head injuries. And a legislative proposal would open the primaries to unaffiliated voters.